While still in it’s pilot stages, Google will offer small businesses in the United States monthly interest-free business loans up $100,000 good only for Adword Purchases. The Google card will be issued by Comenity Capital Bank and will feature an annual interest rate of 8.99% or 0.75% per month on balances not paid-in-full at the end of the billing cycle. 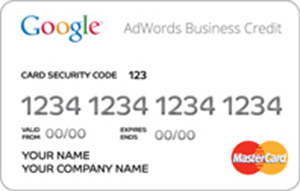 The primary use will be to keep accurate track of Google Adword campaigns.